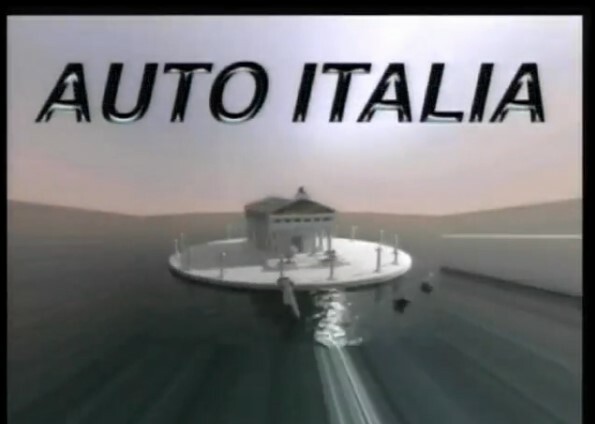 Artists using video as a format for their work is hardly considered a new concept, but Auto Italia LIVE has taken this idea a little further. Since October, every Saturday live at 5pm, they broadcast an hour-long TV show, presenting a diverse range of new work, commissioned especially for the show, from numerous independent artists. From dialogues, dances and presentations to a ‘Metonymic’ cooking show, Auto Italia LIVE aims to explore the artist’s relationship with current forms of cultural programming, turning the Peckham-based space into a fully functioning TV studio. Dazed Digital met up with Amanda Dennis and Kate Cooper, co-founders of Auto Italia, to discuss this unique collaboration. Dazed Digital: By using video art, the programme appears to explore the relationship between artists and mainstream media. How did the idea for this concept come about? Auto Italia: Artists’ practices don’t exist outside of mainstream media, as they may have done in the past. We think that is an interesting position to be in, to explore how artists negotiate their own TV channel to make and distribute work. The framework has allowed artists to collaborate, critique and make artwork, without the need for gallery walls or even face-to-face contact. We have invited emerging artists from all over the world to take part, which has added diversity to the programme. The whole project is low budget and well within a ‘DIY’ tradition. However, with so many of our friends and peers helping out, we have been able to really explore the format. DD: Why did you choose to broadcast these programmes live? Auto Italia: It becomes an event when it’s live. We’re essentially offering two very different viewing experiences, one being from the perspective of a live studio audience and the other as a viewer at home. By opening the project space up two hours before we go live, people get the chance to see rehearsals and last minute changes, giving them the opportunity to witness the things that are otherwise private. This opens up the process of how it is actually produced. Although online viewers can’t share this sort of intimacy, watching a live feed of the show allows them to share in the elements of live broadcasting. DD: Each week you present the work of artists and their independent projects. In this current cultural climate, how important is it to show the work of emerging artists? Auto Italia: Auto Italia has grown through working with our peers, by developing conversations with artists over months or sometimes years. We are an artist-run space, and we have always been interested in working with other emerging artists or grassroots organisations. This kind of collaboration allows us to do much more than would be possible alone. We feel it’s important for artists to support each other and work together. DD: This week you presented the programme in the form of a cable TV show. Why did you decide on this particular format? Auto Italia: The format is dictated by the projects which the artists present each week, we are interested in the multiple ways people interpret ‘television’ as a format. All of the projects we are showing are directly related to this provocation and therefore have progressed through a multitude of forms from a cooking show to a shopping channel. DD: You work with a mix of established and emerging artists, including Olivia Plender. Why did you choose to work with her? Auto Italia: We wanted specifically to work with Olivia because of her previous work on cultural TV programming and the representation of the artist and the position of authority that the commentator has. However, the delineation of ‘emerging’ or ‘established’ is less useful here. All the artists involved in this project, including Olivia, share a similar commitment to alternative methods of distribution that we promote at Auto Italia. DD: You launched Auto Italia LIVE on the 9th October. So far, how have people reacted to the project? Would you consider it a success? Auto Italia: After a nervy start we’ve had a great reaction from other artists, curators and members of the public. The project is developing a bigger audience each week, and we are really excited by the response. Viewers from around the world are joining us too. The other day we found that people in Iran and Bosnia had been catching up online.